Where we are right now, two nights at the Hotel Welcome (far right in photo) in the gorgeous village of Villefranche-sur-Mer near Nice. 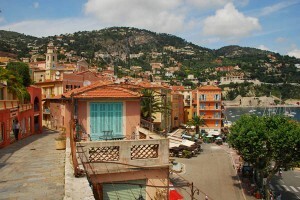 This is a nice splurge on one of the most beautiful coastlines in France. Posted in France Tours and tagged franche, mer, sur, ville.